Dr. Amy Guttmann is an emergency radiologist. She is specialized in providing optimal patient care in acute settings including in emergency departments, urgent care clinics and inpatient hospitals. Dr. Guttmann is committed to quality in radiologic interpretation in the timely care of patients. 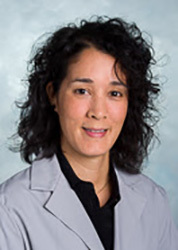 Dr. Guttmann earned her Bachelor’s degree in Biology at the University of Toledo in Ohio. She received her medical degree at the Medical University of Ohio at Toledo. Dr. Guttmann completed her internship and diagnostic radiology residency at Henry Ford Hospital in Detroit, MI. She also received fellowship training in body imaging at the University of Washington in Seattle, WA. Dr Guttmann is board certified by the American Board of Radiology.